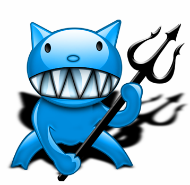 The popular torrent tracker Demonii has permanently closed following the MPAA's legal action against its operator. In just a few years Demonii had become the largest BitTorrent tracker online, coordinating the downloads of dozens of millions of people at any given point in time. Today, an alternative is needed. Trackers are a crucial part of the BitTorrent infrastructure, making it easier for downloaders and uploaders to connect to each other. Technically speaking trackers are similar to a DNS provider, they function as a ‘phone book’ pointing people to content without knowing what it is. Over the past several months Demonii became the largest torrent tracker online, handling requests from more than 50 million peers, resulting in more than two billion connections per day. However, since this weekend Demonii is no more. The tracker simply vanished without an official explanation from the operator. Since it’s connected to the now defunct YTS/YIFY group, it’s safe to assume that the tracker is not coming back. In addition to the suspicions, a well-informed source has also confirmed that this is the end for the tracker. Started in 2013 Demonii was a relatively young tracker that soon became the largest of its kind. After OpenBitTorrent suffered prolonged downtime earlier this year it was the only top tracker left standing. Demonii’s demise shows that the MPAA’s legal action against YTS/YIFY will have an even larger impact on the BitTorrent ecosystem than expected. After a settlement the YTS.to domain name is now controlled by the MPAA, but as far as we can see the Demonii.com domain hasn’t yet fallen into the hands of the Hollywood group. Although one of the largest trackers has folded, most torrents will still work fine thanks to DHT, PEX, and some other large trackers that remain online. That said, in some cases it may take longer to connect to peers. With Demonii, YTS and YIFY gone there’s no doubt that the torrent ecosystem has lost one of its biggest players. However, this is not the first time that a large BitTorrent tracker has folded and historically others have stood up to take the strain. OpenBitTorrent is up and running again for a while, and other sizable trackers such as Coppersurfer.tk and Leechers-Paradise remain available as well.